Asset stability depends on the economic landscape, which is why risks are something active investors are used to taking chances with. Fortunately for them, investing in stamps is quite fool-proof. There’s almost no need to be an expert in stamps. Any investor could easily doubt a stamp’s ability to secure wealth. It’s not surprising since it is difficult to entrust thousands of dollars, even millions, on little pieces of decorated sticky paper. However, the great thing about these tiny stamps is that they have the capacity to spruce up an investment portfolio. The can bring in huge amounts of money because they are not correlated with other asset classes. “People look at stamps and think, ‘That’s just a silly hobby.’ But actually it’s a huge hobby, and a very global one,” Spink’s Guy Croton told The Telegraph. Spinks is an auction company based in London. In its 350 years of existence, it specializes in arranging sales of different collectibles, stamps included. Indeed, investing in stamps is a profitable but quiet business. Case in point: the lone surviving British Guiana One-Cent Magenta postage stamp from 1856 was sold at $9.5 million by Sotheby’s in 2014. The sale beat the previous record of $2.2 million in 1996, and these numbers prove that stamps could very well be one of the best investment choices out there. Singapore Gold Coins, an investment firm, tracked the trade performance of Great Britain’s best stamps and presented data showing that the stamp index grows at a rate of 13.4 percent each year. The index has not dropped since 1991, signifying the constant stability of stamps in the market. 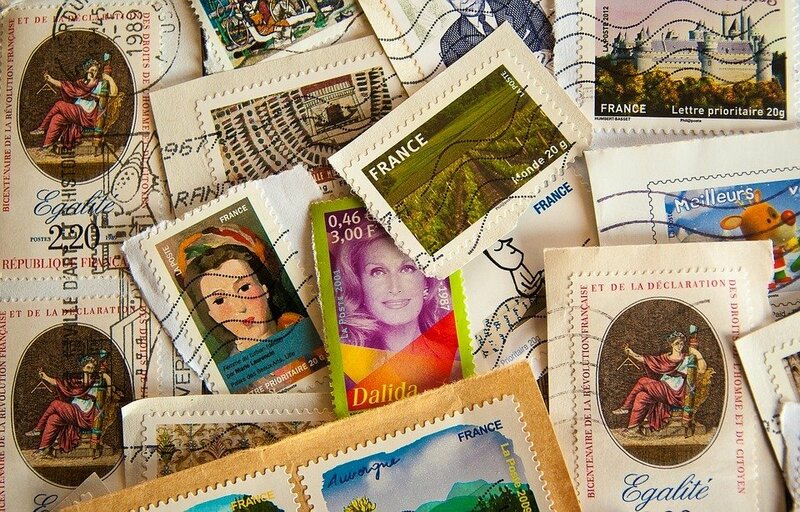 Because of the rarity of valuable stamps, passionate collectors, and enthusiastic buyers make a very flourishing community. While older people are higher in number when it comes to this hobby-investment, numbers are far from dwindling. The premier dealer for stamps, coins, and antiques in the U.K., Stanley Gibbons, reveals that in 2016, its clients tripled to 3,000 since 2009. The company presently owns around £120m of rare stamps. Furthermore, Brian Reeves explained that new collectors continue to join the community. Reeves, the owner of his namesake London auction firm, said the new entrants consistently come through “from the growing middle classes in emerging markets.” The internet has helped up the numbers as well. How does investing in stamps work? It is important to know that there are two kinds of stamps: collectibles and investment-grade. Between the two, investment-grade stamps are a fun and secure way to add diversity to your investment portfolio. Stamp investments are unaffected by economic factors that regulate the value of other asset groups, like real estate or equities. This appealing quality present in stamps entices investors to invest in them. “During the recession, rare stamps and coins actually increased in value while pretty much every other asset was heading south,” Heddle added. 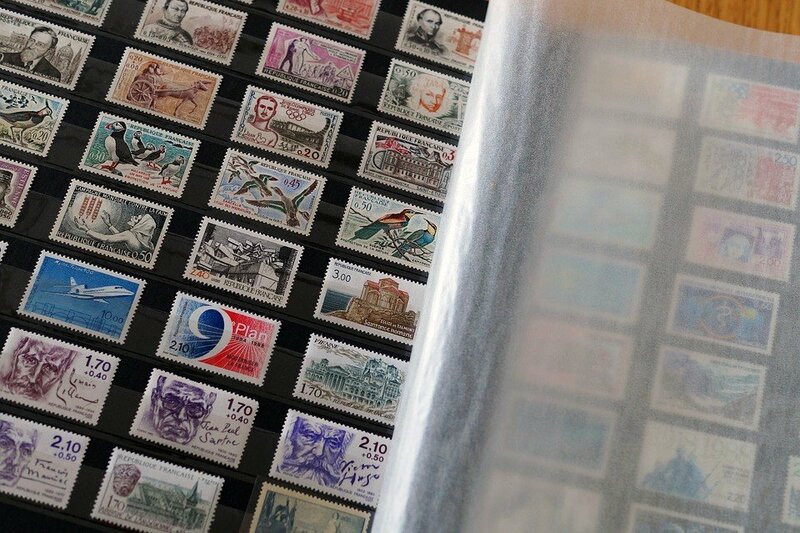 Billionaire Bill Gross owns one of the world’s largest stamp collections. He is one of the millions of collectors in the world who swears by the stamp’s financial stability. He reportedly spent $50 to $100 million of his $2.2 billion fortune buying stamps. In addition to that, he says it’s one of his most profitable investments. Gross sold part of his stamp collection in 2010. He revealed that his gains proved to be “better than the stock market.” In 2000, he bought $2.5 million worth of rare British stamps and sold them for $9.1 million in 2007. Investing in stamps, though not requiring philatelic skills, is a delicate business. There are a few rare stamps that could increase in value; thus, it is important to seek the help of experts on how to find and buy at these valuable pieces. An example is the “Penny Black” (Britain) worth $550,000. Another is 1968’s “The Whole Country is Red” stamp (China) worth $1.1 million. An investment-grade stamp should appear new. The designs, including outer frame lines, should be complete without abrasions whatsoever. The stamp’s gum needs to be preserved or if used, neatly canceled. Non-perforated stamps should have margins without the designs on all sides, while rouletted or perforated stamps should exhibit intact designs. According to The Hurun Report, 64 percent of Chinese millionaires put their money on rare stamps. Since billionaires and expert investors rely on stamps to grow their wealth and if you have a particular passion for this, then it should well be worth a try.